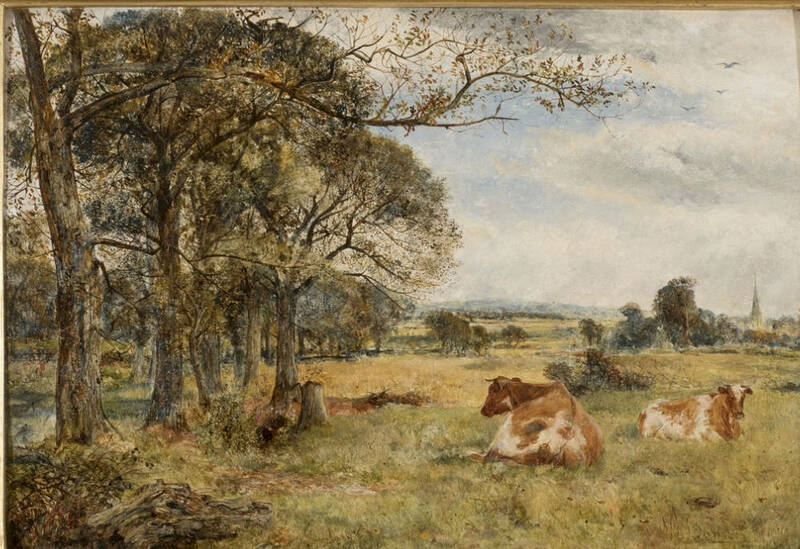 Cattle Grazing with Sefton Church Beyond by William J. C. Bond. 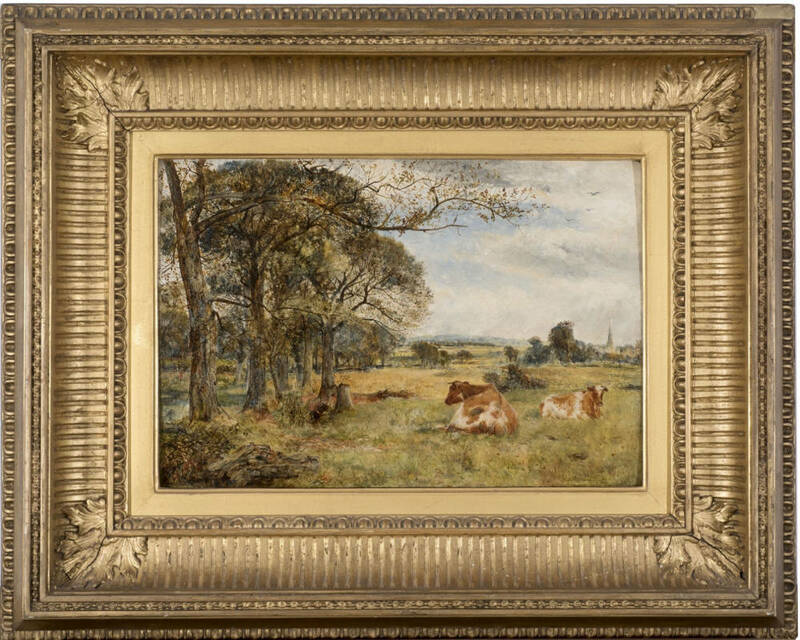 Dated 1865 Oil on panel: 10 x 14 1/2 inches (25.4 x 36.9 cm). Courtesy of the Fine Art Society. Click on image to enlarge it.